The Growing Space is home to a team of practitioners who offer an inspiring array of complementary skills and expertise to support you through periods of challenge, change and/or development. I am the founder of ‘The Growing Space’ and a consultant, facilitator, trainer and BACP registered counsellor and therapist. I can support you in a range of presenting issues including traumatic experiences, separation, bereavement, illness, relationship problems, sexuality, identity, work-related issues and other profound life challenges. I have a special interest in depression and anxiety and can help you find healthy ways of coping and improving things. I also hold a Certificate in Systemic Coaching & Constellations and love working with people looking for support when faced with decision-making crossroads in their lives. As a person-centred, integrative counsellor, I use a range of tools and approaches (including CBT) to adapt to your individual needs. I offer both short-term and long term work and we will decide together what approach best suits you; day-time and evening appointments available. Counselling sessions (50 mins) cost £40; an initial 30 mins 'getting-to-know' session is free. Are you finding everything you feel intense, or don't find the same enjoyment in things, or relationships have become strained? Lisa is a person-centred, integrative, BACP registered counsellor who places emphasis on getting to know and understand you and your world, to appreciate the circumstances you are finding difficult to live with. She offers short-term and long-term work with young people (13+), individuals and couples. Lisa works with a wide range of issues, including relationship difficulties, specific counselling for young people, acquired brain injuries, sexual trauma and long-term illness, with particular awareness of counselling for anxiety and depression. Individual counselling sessions (50 mins) cost £40; couple counselling (1h) cost £70; an initial 'getting-to-know' session is available. If you are on a low-income there is limited availability for a reduced fee, please ask for details. Margaret Barrie has more than 20 years of experience as a therapist with a wide range of clients. 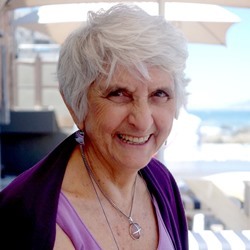 With an MA in Counselling Psychology (Antioch/Seattle), a BsC in Dietetics and as Gallup accredited Strengthfinder Coach, Margaret can offer a wealth of knowledge and experience. Her particular area of expertise is in accompanying and supporting clients through periods of major transformation, be it personal, professional or both. Margaret can help you identify and deal with what gets in your way of transforming. She will support you in your development of a sense of identity that is enduring and enables you to make the changes you want to see in your life. Margaret works in the UK and South Africa, where she is registered as a Counselling Psychologist in South Africa (HPCSA No PS0050350). She 'sees' her clients primarily by Skype.